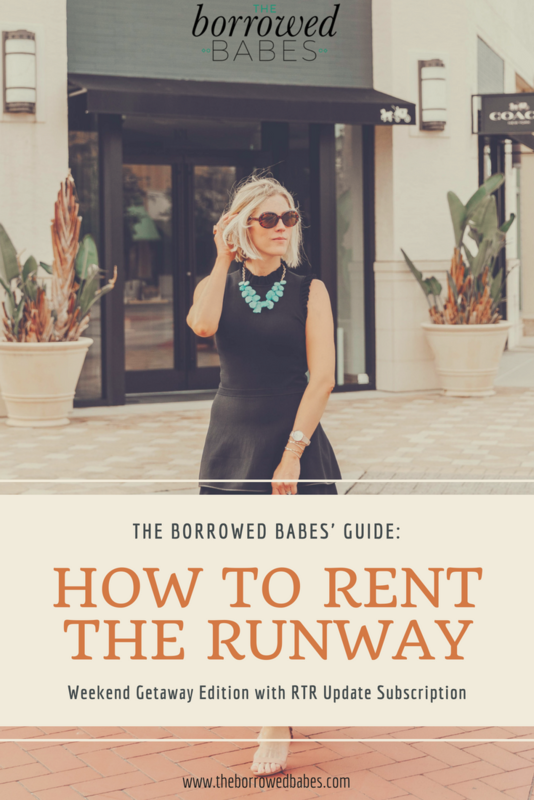 We're kicking off our first How To Series with the basics behind using Rent the Runway! This post is now live on The Borrowed Blog, so click here to read it. Don't forget to pin and share it also, babes! Our next How to Guide is now available on The Borrowed Blog. Click here to read our inside information about how to maximize your rentals with Bag Borrow or Steal. The Borrowed Babes' latest Guide is a Guide to Rent the Runway's latest subscription service, Update. Click here for my recommendations on using Rent the Runway for wedding weekends, vacations, bachelorette parties, staycations, and everything in between.